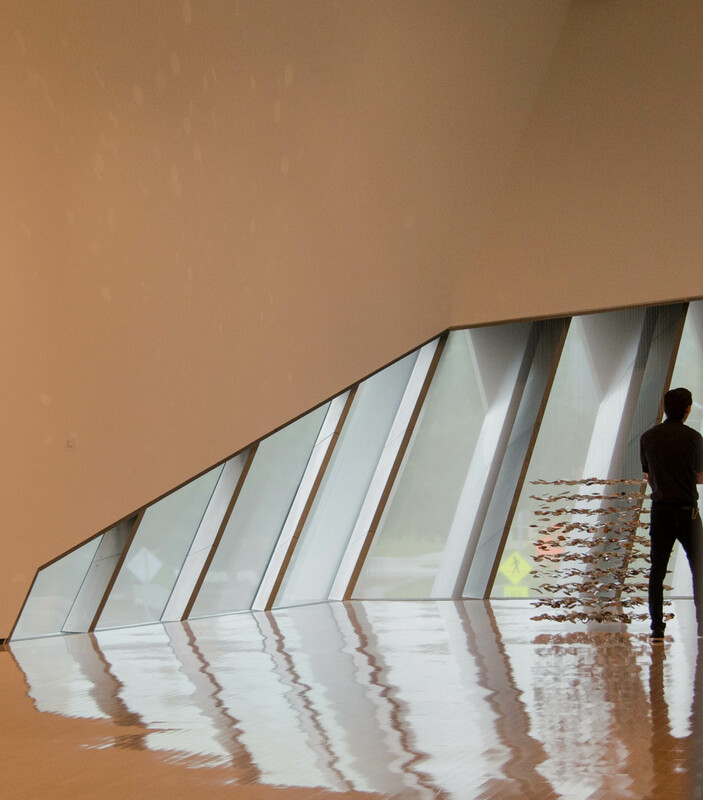 The Eli and Edythe Broad Art Museum (http://broadmuseum.msu.edu/) is the newest edition to the campus of Michigan State University. It is a museum of modern art where the building itself is also modern art. See the photo gallery from the link above to get some idea of the severe angles and dramatic lighting in the museum. I recently visited the museum for the first time with my spouse and some out-of-town guests. We had a great time. I was allowed to take pictures inside the museum as long as I did not do flash photography (which I rarely do anyways). The first picture has the museum in the background. The dramatic lines on the outside are just a hint of what is inside. 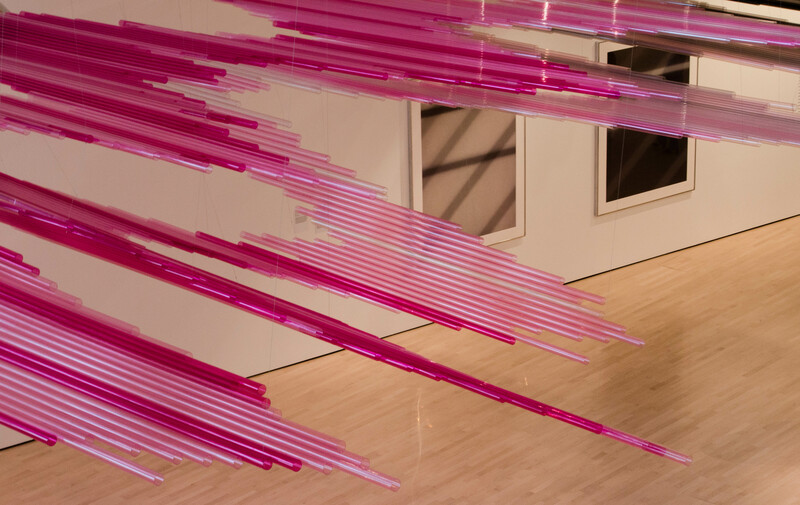 The pink tubes picture is taken from a viewing area above one of the first floor galleries. The current exhibit is about patterns and includes works from artists around the world. The tubes suspended from the ceiling also included black and grey tubes in various shades. The next three pictures feature a work that fascinated me. Strings were suspended from the ceiling. 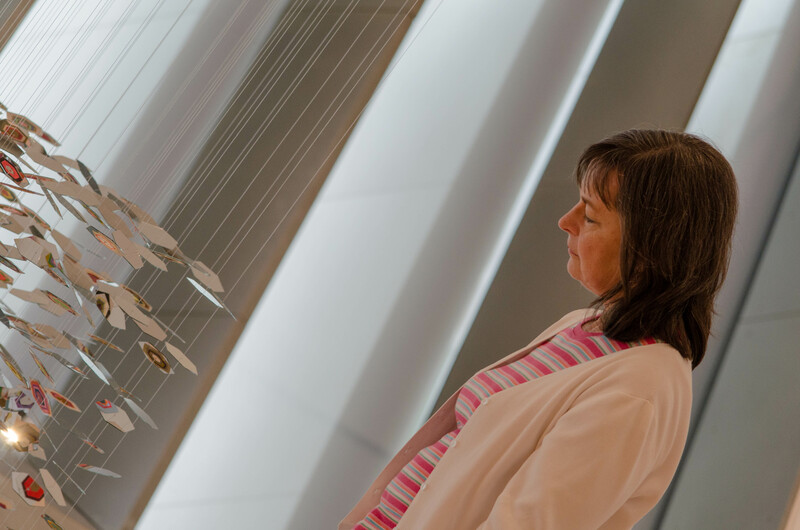 On each string were small mirrors facing up with designs on the bottom. 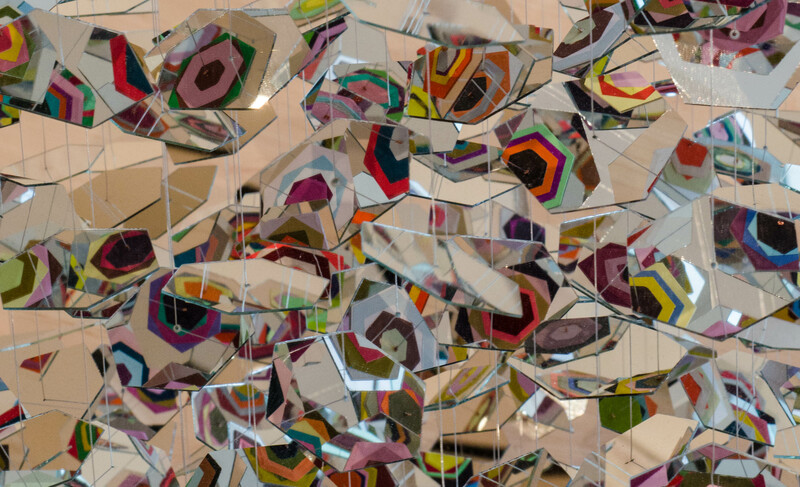 The light and the shifting wind currents created a kaleidoscope effect for the viewer. The woman in the “Perspective” photo is my spouse of 41 years. She is not standing on a slope. I turned the camera to try to visualize the way people tended to turn every which way to view the unusual artwork. There is no admission charge to enter the museum. I expect to return soon. Great post – it looks like someplace I would enjoy. Let me know when you are ready to return and we will make it a “Wondering Photographers” trip. 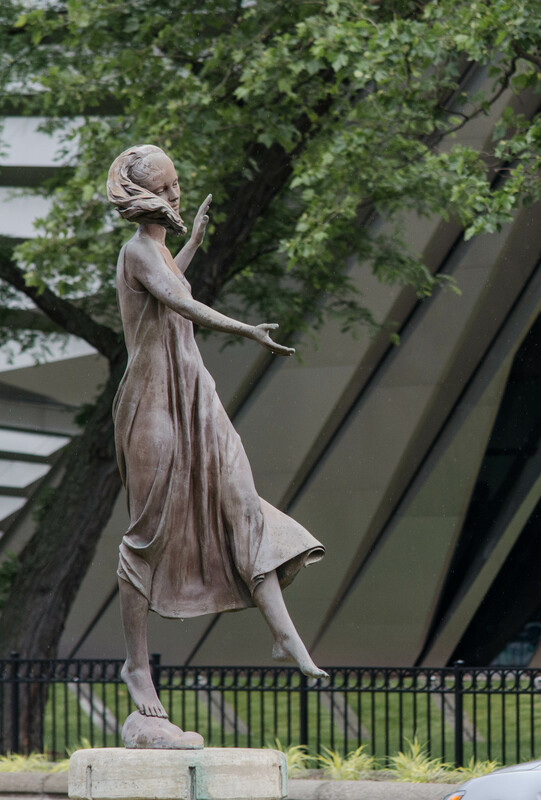 The lines of the sculpture contrasting the lines of the building make for a very dramatic image. Thanks Pat. I’m ready to go back anytime.